Marian Akintola, is a retired Chief Agriculture Superintendent of Lagos State, Nigeria. 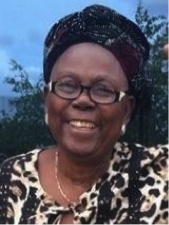 In her early career, she worked with the Ministry of Agriculture, Western Region and in 1969 transferred her services to the Lagos State Ministry of Agric. upon the creation of Lagos State in 1967. She served with the Lagos State Ministry of Agric. in various capacities until her voluntary retirement in 1996. Dame Akintola was a panel member on Food Processing and Storage at the inception of DFRRI (Directorate of Food, Roads and Rural Infrastructure). She was also the Project Officer in charge of Better Life project in Badagry. She represented Lagos State at International Trade Fairs and Agric. shows. She was the pioneer General Secretary and Co-founder of Pig Farmers Association of Lagos State (PFAL) and later became the President. Dame Marian Akintola is a Christian of Methodist denomination. On the 19th of December 2004, she was honoured by the Conference of Methodist Church Nigeria with the prestigious award of Knight of John Wesley which is why she bears the title “Dame”. Dame Akintola’s passion for singing and dancing, has led her to author the book “Supplementary Hymns to English Methodist Hymn Book”. Dame Akintola was married to late Mr. Victor Akintola. The marriage was blessed with six children and grand children.